October's storm highlighted weaknesses in the wireless network that critics say the utility company is downplaying. 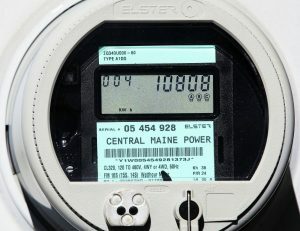 Central Maine Power Co. says it is making its smart-meter network less vulnerable to power outages, a weak link identified during last October’s wind and rainstorm that blacked out a record number of customers. On Wednesday, the company said that key devices in the network are now wired for backup generators, and that the utility has increased the number of mobile generators available for use during extended outages. The performance of the smart meters was one of the key factors being scrutinized by investigations into CMP’s response to the storm. Smart meter communication was interrupted by the October storm, contributing to confusion about where power was out or restored. Digital smart meters measure a home’s power consumption and transmit that information to CMP. That communication was interrupted by the storm, contributing to confusion about where power was out and where it was restored. But the announcement drew quick criticism from Maine’s consumer utility watchdog, who called it spin. It also comes two days before the staff of the Maine Public Utilities Commission is set to file a report to the commissioners about its findings related to the storm response. Last December, the PUC opened an inquiry into whether Maine’s power and communications utilities were as prepared as they could have been, how they responded and what lessons can be learned. More than 450,000 CMP customers lost power at some point during the storm. Problems with CMP’s communications network exacerbated the problem and hundreds of angry customers filed complaints over high bills and poor customer service in the wake of the storm. In addition to the PUC investigation, an independent consultant has begun another audit of the company’s response to high bills. Doug Herling, CMP’s president and chief executive, said the smart-meter system has served customers well, but as technology changes, improvements will continue to be made. However, CMP’s assessment on the performance of its smart meters differs dramatically from that of Maine’s public advocate. “It sounds like they’re still in denial and trying to shine the apple, when the apple is a little rotten,” Barry Hobbins said. In comments filed at the PUC in late June, Hobbins’ office stated that on Oct. 31, CMP was able to retrieve information from only 48 percent of the meters. Hobbins said Wednesday he was pleased that CMP was upgrading the system, but that Herling’s statement on the network’s good performance isn’t accurate. Responding to Hobbins’ criticism, a CMP spokeswoman said while the system was compromised, it still performed a valuable function. Herling’s statement also drew fire from a persistent CMP critic, Rep. Seth Berry, D-Bowdoinham. Berry, a co-chair of the committee that handles energy issues in the Legislature, accused the utility of flip-flopping on the facts and said it should admit its mistakes to regain customer trust. That the storm had a major impact isn’t in question. CMP reported thousands of trees broken or uprooted, most located outside the maintenance clearance zone. Damage occurred on nearly every distribution circuit, the company reported, resulting in more than 1,400 broken poles and more than 404,000 people without power at the storm’s peak on Oct. 30. It took 10 days for CMP to get everyone back on line, although 92 percent had their lights back within four days. One issue that surfaced early in the crisis is the role of CMP’s Advanced Metering Infrastructure system, the so-called smart meters. The digital meters, which transmit information over a wireless network, were installed seven years ago. The $200 million project was funded equally through a federal grant and customer charges. One anticipated benefit of the network was that it would help CMP collect instant information about outages and speed storm recovery. But when utility poles went down, radio transmitters for the wireless network also went out. Meters lost power, and battery backup power in centralized locations was drained. CMP said that as power was restored to the AMI devices, their performance quickly rebounded, to 90 percent on Nov. 4, 95 percent on Nov. 5, reaching 100 percent on Nov. 8. It also said very few AMI devices were actually damaged, despite being on broken poles. “It was loss of power to some devices that led to reduced network performance,” the company said. In Wednesday’s announcement, CMP also said it had enhanced its ability to perform minor repairs to smart meter equipment during a storm, and had completed a study of another communications solution for use during extended telecommunications outages. In addition, CMP plans a pilot program this year using solar panels and extended battery backup as an alternative to traditional back-up generators. Taken together, the company said, these measures are expected to “markedly improve” functions of the smart meter network during storms or other outages.